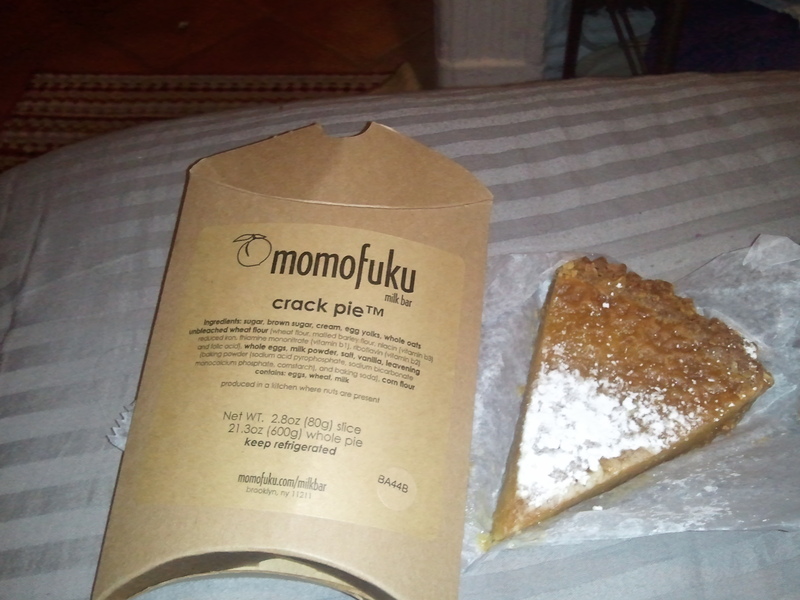 My food parade led me to a place called Milk where I ate something called Crack Pie. I guess its famous. Its pretty damn good. Its an asian bakery, and one of their speciaties is Cereal Milk- where they literally run milk thru cereal then bottle the milk and serve it. Im not that Asian (nom nom) so I passed and instead ordered 1 slice of crack pie and 3 birthday cake truffles. Shout out to the pacific rim- they make a mean dessert! Posted on May 8, 2011, in Food Overload, JG NYC. Bookmark the permalink. Leave a comment. May 12 – The Family has Landed! Can I Have a Side of Bread With My Bread? Mr WordPress on Hello NYC!